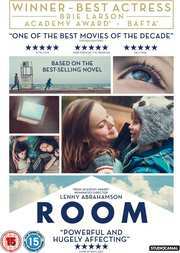 Room is the story of a young woman Ma and her son, Jack who both live in a bunker which she calls 'Room'. Ma has decided that on his fifth birthday she will tell him the truth about where they are. That they have been imprisoned here by a man they call 'Old Nick' who kidnapped Ma and has kept her hostage here. Ma devises a plan to escape, but both must face somewhere more scary than Room, the outside world. This film is simply a masterpiece. It could easily have turned into a Hallmark 'Day Time Movie', but thanks to the amazing performances by Brie Larson as Ma and Jacob Tremblay as Jack, it is elevated to where it is now. Nominated for many awards, with Larson winning multiple for Best Actress including the Oscar and this is not just a one note/one performance film as everything in this film is simply phenomenal. I have not read the book, but by all accounts it is very close and it does make me intrigued to read it. The script is excellent, adapted by the original novel writer Emma Donoghue, not dwelling on the abuse that Ma is suffering or indeed on anything that is happening. If it had, I could imagine this film being one that would be hard to sit through. Instead, this is a film that I would happily recommend to all and I think the main reason is that it is brimming with hope. Most films of this nature dwell on the gruesome aspects, but thankfully Director Lenny Abramson and Writer Emma Donoghue both created a taut story that works from beginning to end. Extras include a Commentary by Abramson, which is fascinating and I'm he had been joined by Editor Nathan Nugent, Production Designer Ethan Tobman and Cinematographer Danny Cohen so he had someone to discuss some of the choices he made. He is interesting and it flows better than some do. The featurettes are interesting, but like with many I do wish they would just combine them all so that it is one longe documentary about the making of, instead of seven shorter ones. Or be given a Play All option. They look at the creation of the film, the adaptation, finding Jacob Tremblay, Brie Larson becoming Ma and also the relationship that they forged while making the film. If you are a fan of the film you will enjoy watching these. Room is a fantastic film. Certainly one of the best of the year and I was not surprised by how many awards it won or was nominated for. It is suprising that Tremblay did not win or was nominated for many, but I can see a bright future for him. If you want to watch a film that fills your heart with warmth and hope, then this is the film for you.